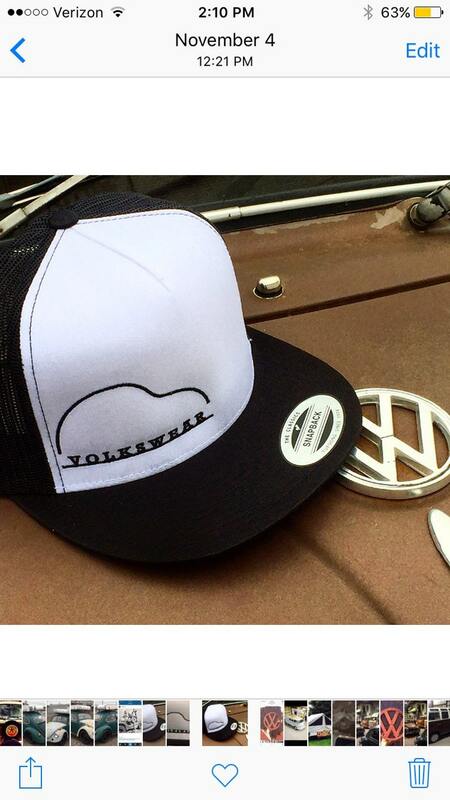 Classic Snapback Ball Cap with Embroidered Volkswear Logo. We embroider these caps in house and the quality is very nice. We have gotten great feedback from customers and have yet to find someone who doesn't love this hat. One size fits most with a mid profile structured front and mesh back with snap adjustment. Thank You. Jeremy. I didn't see anywhere before purchasing that the picture/design is on the back and "Volkswear" is on the front of the shirt. Wish that was clearer in description. Maribel, we are sorry to hear that you were not satisfied with your shirt. It is specified in the listing title and description that our logo is on the front and the Bug design on back. However, we will work on getting more pictures up on the listing to hopefully avoid any confusion in the future so we thank you for your feedback. Volkswear.